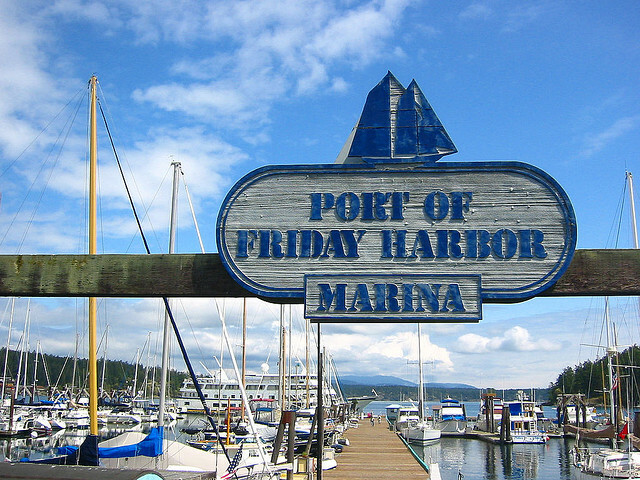 The Port of Friday Harbor is located on San Juan Island. Friday Harbor is the largest town in the San Juan archipelago and serves as the county seat. 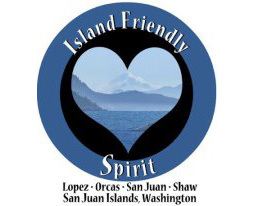 Other public ports in San Juan County are the Port of Orcas and the Port of Lopez. 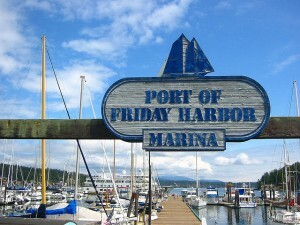 The Port of Friday Harbor owns and operates the largest public marina and the largest airport in the San Juan Islands. Both are within walking distance of the downtown services of Friday Harbor. The Port also owns Jackson Beach, which is the closest public beach to town. Friday Harbor has grown with the Port into a thriving vacation destination. Many who visit here by boat fall in love with the island life-style, and relocate to the area to raise their families or to enjoy retirement. Artists and craftspeople have joined together to create a thriving cultural scene, and the summer season offers outdoor live music events and a Farmer’s Market. The Marina is home to 20 businesses, and 15 companies conduct business at the Airport. These include whale watching cruises, fresh seafood, a canvas shop, restaurants and air charter flights, just to name a few. The Port works with the San Juan Islands Economic Development Council to promote economic activity and diversity throughout San Juan County. The Port is governed by a three-member Board of Commissioners elected to overlapping six-year terms. The Commissioners meet twice a month (once in summer) on the second and fourth Wednesdays of each month. See “Meeting Agendas” and “Meeting Minutes” for detailed information on the Commission’s current business. The public is welcome at all Port Commission meetings. The Port employs 18 staff-members year-round, with an additional 10 summer staff members.